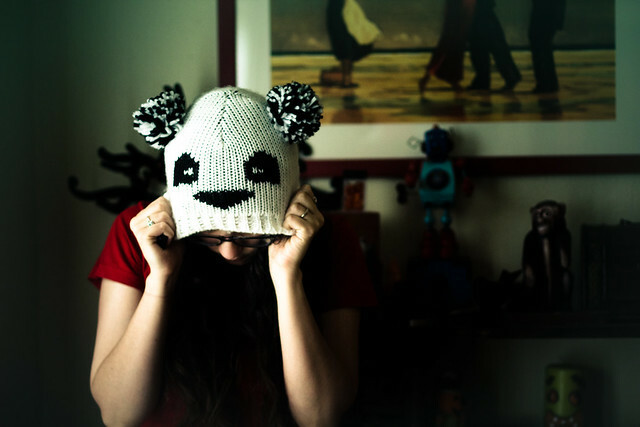 December 3: Hat | Flickr - Photo Sharing! The past two years I shot this photo in front of the xmas tree, so I didn't want to do that again. I'm feeling vulnerable and out of practice. I'm trying to maintain the feeling I had when I shot a private 365 self portrait set earlier this year. It was a completely honest project. It's going to be pretty warm today, but tomorrow night a cold front is moving in, with lots of winter precipitation for Thursday and Friday. Fingers crossed for more snow than ice. mishainmadrid, evaxebra, xgray, and 1 other people added this photo to their favorites.